Manchester United left-back Luke Shaw is in no rush to sign a new contract at the club, and he will supposedly be playing a wait-and-watch game regarding his future at Old Trafford. According to a report in the Mirror, Shaw wants to book a berth in the side, and once he gets the feeling that he has a future at the club, that’s when he will be ready to extend his contract, which ends in 2019. If Shaw fails to regain his place in the lineup and isn’t given the chances to excel, he might be tempted to switch to new pastures. The left-back has enjoyed an impressive start to the season so far, and has been praised by manager Jose Mourinho. 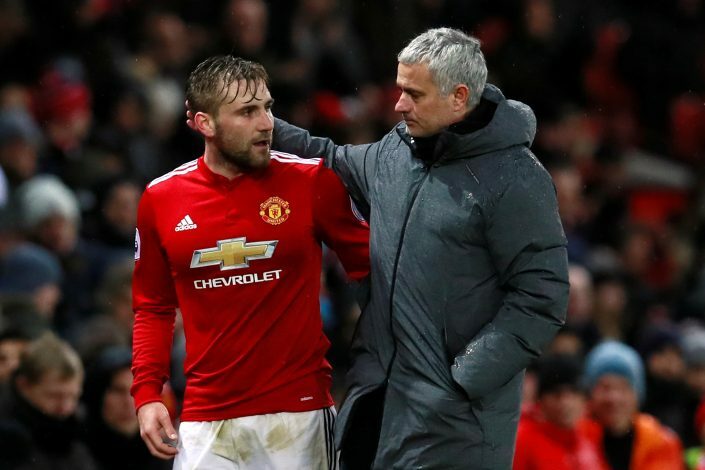 After having received a lot of public criticism in the past, Shaw has been determined to earn the trust of his gaffer, and in the early stages of the campaign so far, he has managed to do the same. Shaw has been one of the rare performers for the Mancunian club in the opening three matches of new Premier League campaign. United have lost two out of the three matches, including a 0-3 defeat against Tottenham Hotspur. The Reds have shipped in six goals in the last two games. Shaw has played well, and has scored a goal besides assisting one so far. Defensively too, he has looked better than the rest, which has earned him an England call-up for the friendlies in September. He will be determined to hold on to the new exciting phase. The youngster has had a difficult time at Old Trafford, with injuries and lack of form and fitness bothering him. But now, he looks fresh and lean, which in turn, has had a positive impact on his performances.